Someone combined Doughnuts and Croissants… What an age to be alive! Willy Wonka would be proud of the bold leaps in confectionary being made in the world today and now you can get a taste for yourself in London. It should be noted that the Dominique Ansel Bakery, where the Cronut is made, is not unique to London. The original Bakery is in New York and there are other Bakeries in the chain around the world. However, Starbucks, this is not and you’d be hard-pressed to find another Dominique Ansel Bakery in your area. And this route keeps on giving. If you’re in the mood for modern food, then take the chance to take in some modern art. The nearby Saatchi gallery offers a vast array of contemporary art and is not afraid of experimentation with its exhibits, many of whom are by unknown artists getting their first shot at showing their works to the public. 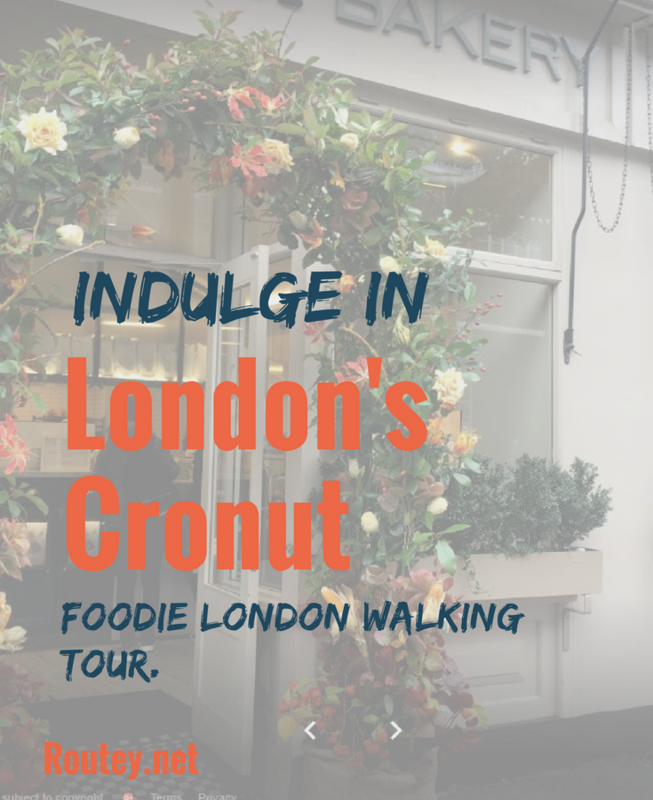 Take in some art, move on to some tasty delights at the Dominique Ansel Bakery and finish off your route by eating your London cronut in the small but scenic Ebury Square Gardens. One last morsel for the road: the Dominique Ansel Bakery makes a new speciality flavour of Cronut every month. So, if you are able, return when a new flavour hits the shelves.